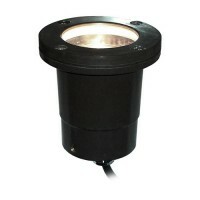 Total Outdoor Lighting offers a wide variety of lighting outdoor fixtures for all your landscape lighting needs. You can choose from a wide assortment of styles, color, finishes and sizes. These are the most popular landscape lighting fixtures, are all built for long life and offer the perfect accents to create drama and added security for your property at night. If you would like to learn more about how outdoor landscape lighting low voltage connectors work, watch the short video by Total Outdoor Lighting to see how popular outdoor landscape lighting low voltage connectors are used to connect low voltage outdoor landscape lights to the main power supply cable. You'll be surprised how easy it is to install landscape outdoor low voltage light fixtures to your own low voltage outdoor landscape lighting system. Low voltage systems are shockless and safe for use around pets and children. Watch our connector video and decide for yourself which connector would work best in your outdoor landscape lighting application.